No seriously, that happened. Like I had a huge cloud blocking the logically thinking part of my brain. 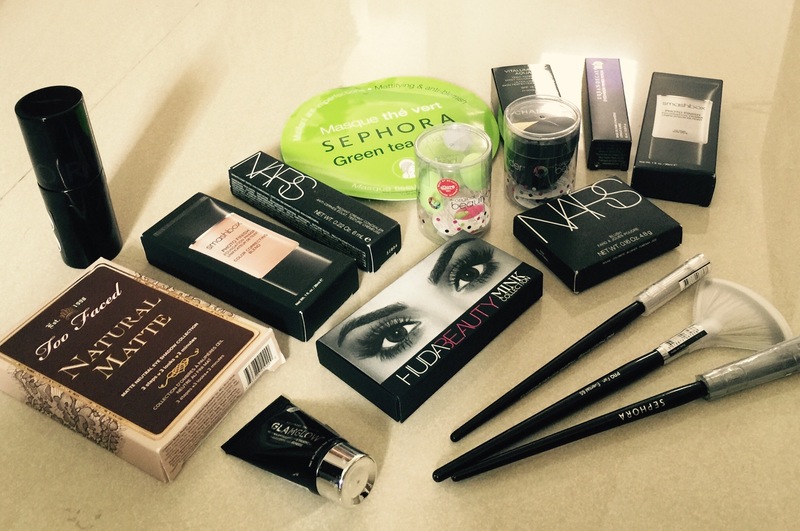 This is the final part of the Dubai Mall Haul Trilogy (Have you read the mac haul and the collective haul? )and the haul I have been very excited to share with you guys but I have to admit that one reason I have been putting it off for a while now is because of how embarrassed I am. I am a bit (ok, A LOT) of a shopaholic but I never just go crazy at stores. I mean I usually tend to be a bit more sorted or so I believe. I had made up my mind only to pick up products/brands that are not readily available online or the ones that require me to pay too much for shopping. I had a small (um…long) mental list of things I was looking to get which I was happy I could find most of except maybe like 2 products. 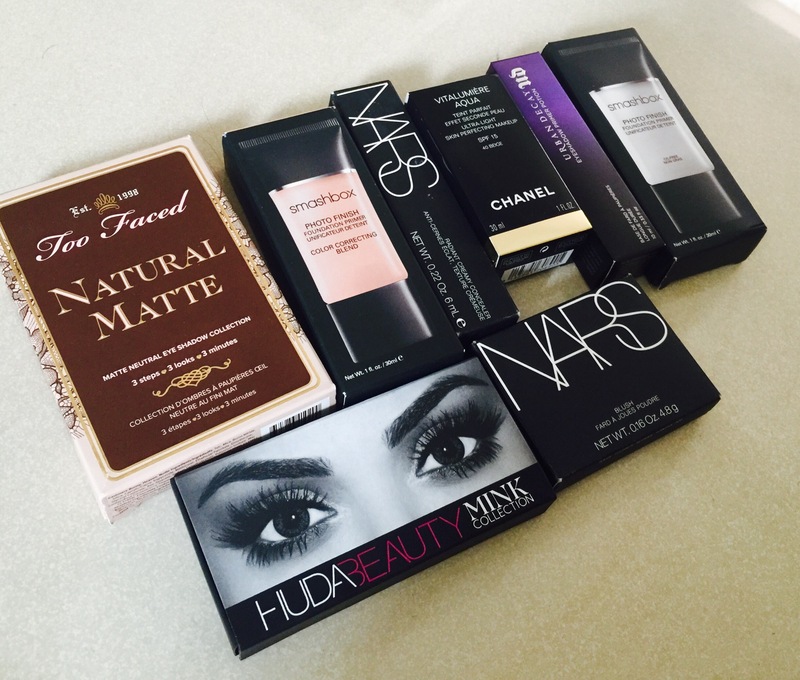 The makeup products I picked up were the following. 1. Too faced Natural Palette – This has to be my most favorite palette till date, so glad I picked it up. This was a total impulsive pick and it worked out pretty great. I am planning to do a review on it soon. 2. Two smashbox primers just because they are soo hard to find online. I also wanted to figure out which one would suit my skin better. 3. Nars Creamy Concealer- It has been talked about too much and I needed to find out for myself if it was all what it’s raved about as. 4.Chanel Vitalumere Aqua – If you guys have been following my posts for a while you would know that this has been my most wanted foundation since the beginning of this year and my shade never is available. surprisingly it was available this time so I got it. 5. I had tried out samples of all four of the UD primer potions and zeroed in on the original one to get a full size of. (check out my review on UD primer potion in Eden ). 6. Nars blush in Tribulation – It is gorgeous multi purpose champagne color that was also an impulse shop. 7. Huda Lashes in Naomi – Am I glad I bought these or not! These are just soooooo gorgeous. 8. The Beauty blender pro because you know how much I love my beauty blender. My old one is so dirty and even has a tear. 9. A Sephora Kabuki brush. 10. Glamglow mud mask – I have heard such mixed reviews so I wanted to check it out before getting the full size. 11. 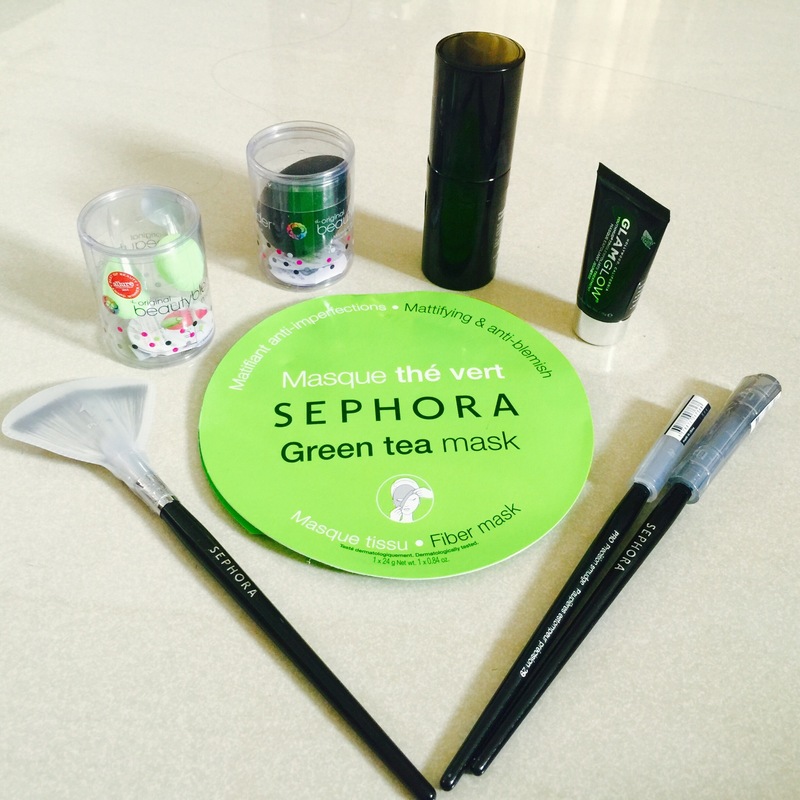 Sephora Green Tea Mask which I am yet to use. 12. Sephora fan brush because you never know when you need a light hand. 13& 14. Sephora blending brush and a crease brush because you can never have too many. Have you tried any of these products? Let me know in a comment below. I love your post! How long your beauty blender usually lasts? Thank you so much for stopping by and I am glad you like it. My old one has lasted almost an year and still working(I just made a tear trying to scrub it clean 😁). The tiny one is lime green. Thank you. I really do love that palette. The mini blender is in green Hun. It’s been around for awhile now but I just could get my hands on it. Happy new year! Top photo is hilarious! I’m a fan of the original UD eye primer. 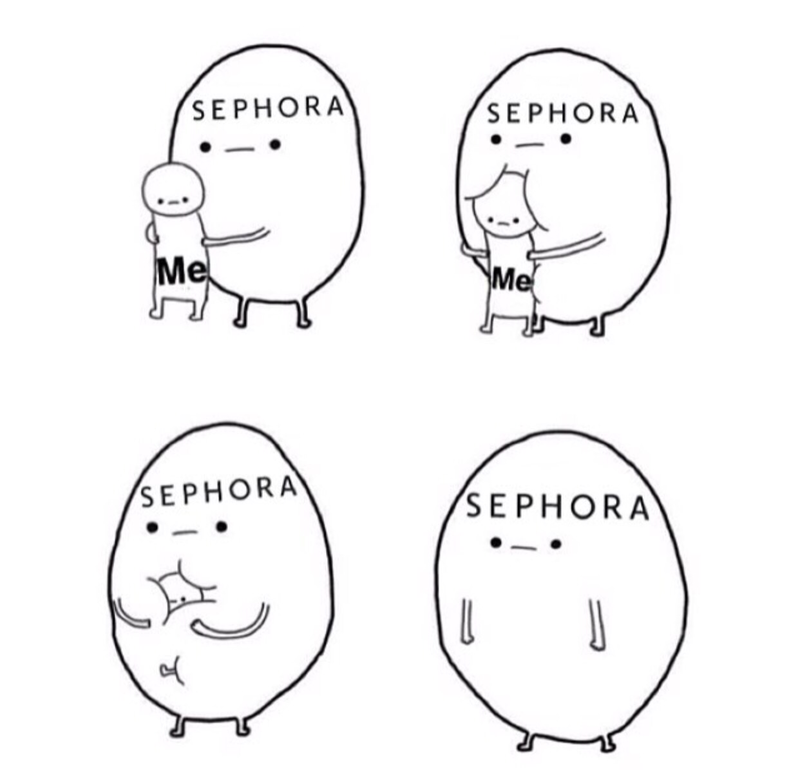 I saw that photo and realized nothing could explain my Sephora experience better. 😂 I’m liking the original one too just because it lets you work on without any fuss. Amazing haul! I really like the Sephora brand brushes – great quality for the price. I’d love to hear what your thoughts are on the Nars concealer. There’s so much talk about it – I’ll probably be buying it in January! That picture is on point though!